A unique platform that resulted in a promising HIV vaccine has also led to a new, highly effective vaccine against tuberculosis that is moving toward testing in humans, MedicalXpress reports. The new vaccine completely protected 41 percent and reduced overall TB disease by 68 percent in vaccinated rhesus macaques, according to a study published as an Advanced Online Publication of Nature Medicine. In contrast, there was no measurable protection in the rhesus macaques - a monkey species that is closely related to humans - treated with today's standard TB vaccine, the Bacillus Calmette-Guérin vaccine. "With more than 1.7 million people dying globally from TB each year and the rise of strains that are resistant to drug treatment, we need a better way to prevent this disease," said the study's principal investigator Louis Picker, M.D., who is the associate director of the OHSU Vaccine and Gene Therapy Institute and a professor of pathology, molecular microbiology, and immunology in the OHSU School of Medicine. "Because rhesus monkeys are significantly more susceptible to TB than humans and, given how effective our new TB vaccine has been in these monkeys, we feel that the human version of our vaccine could have the potential to be even more effective in protecting humans," Picker said. TB disease is caused by the bacteria Mycobacterium tuberculosis, is spread through the air, and can lead to violent cough attacks involving spitting up blood. Most people infected with TB don't even know it; only five to 10 percent show symptoms. A vaccine already exists, but it largely only protects children and its efficacy varies widely. Picker and his colleagues have taken a different approach to vaccination. They use a weakened form of a common Herpes virus - cytomegalovirus, or CMV, which infects most people without causing disease. In collaboration with the TB nonprofit Aeras, they wove tiny bits of a disease-causing pathogen into the CMV. This re-engineered CMV creates and maintains a high state of immunity against the pathogen in vaccinated monkeys. This approach has the potential to work better than standard vaccines for aggressive pathogens that infect quickly, overrun a person's immune response, or can hide from the immune system. The new TB vaccine reduced overall disease by 68 percent in vaccinated monkeys. About 41 percent of vaccinated monkeys were completely protected from TB, while 30 percent had less severe disease than unvaccinated monkeys, and another 30 percent showed no benefit from the vaccine. 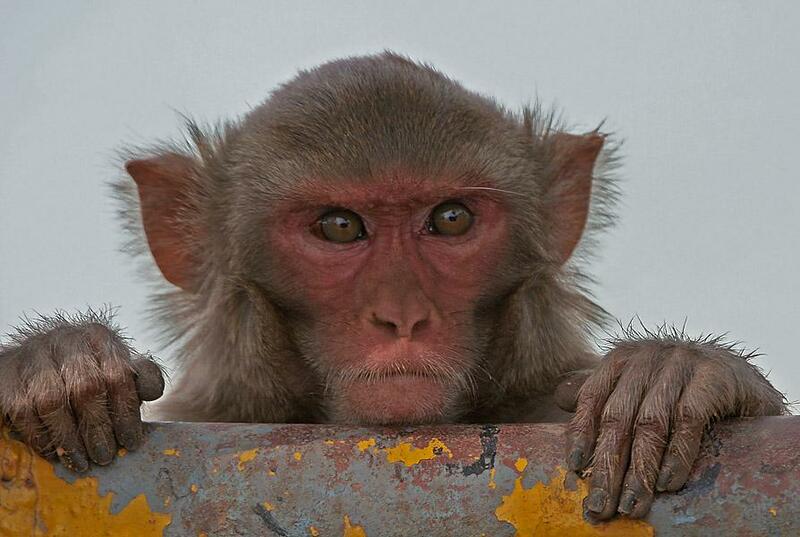 This level of protection has never been seen before in rhesus macaques with the standard TB vaccine. Next, Picker and colleagues will work to better define the biological mechanisms by which their new TB vaccine works. They will also work with Vir Biotechnology, Inc. of San Francisco, which has licensed aspects of their CMV-based vaccine approach, to expand testing with plans to start a human clinical trial in 2020. Vir Biotechnology plans to manufacture the HIV/AIDS vaccine, which is also made with CMV, in 2018 and a human clinical trial is slated for 2019. The success of both vaccines thus far in stringent monkey models has led Picker and his colleagues to believe their CMV-based approach to making vaccines has the potential to be engineered to tackle a variety of infectious diseases.